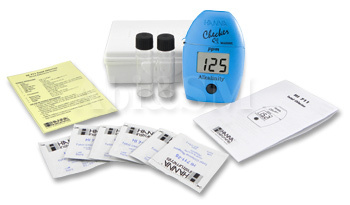 The HANNA HI 755 Checker HC bridges the gapbetween simple chemical test kits and professional instrumentation. Chemical test kits are not very accurate and only give 5 to 10 points resolution while professional instrumentation can cost hundreds of dollars and can be time consuming to calibrate and maintain. 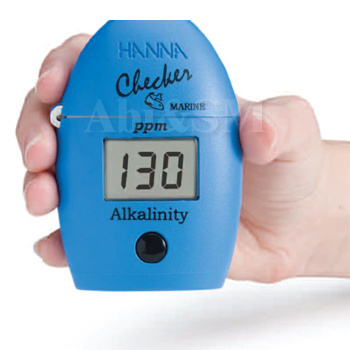 The HANNA HI 755 Checker HC is accurate, affordable and extremely simple to use. First, zero the instrument with your water sample. Next, add the reagent. 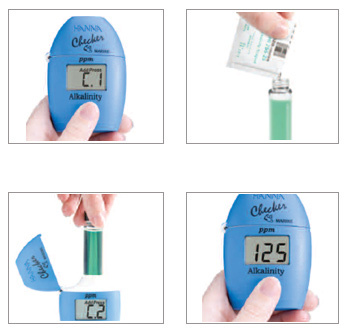 Last, Place the vial into the HI 755 Checker®HC, press the button and read the results. It’s that easy! 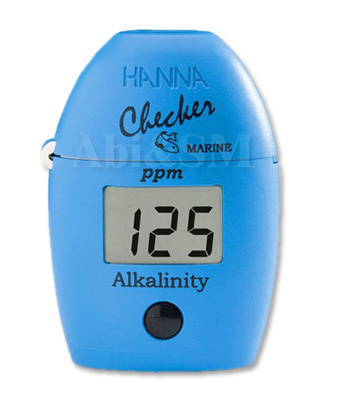 HI 755 has been developed specifically for testing alkalinity in marine water. The reagents and software are different from our fresh water test kits and meters which we have been selling for many years. 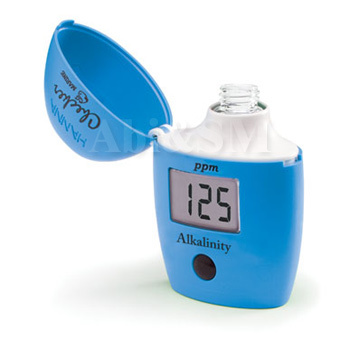 HI 755 uses a photometric method to determine alkalinity. This method is one of the various approved methods to measure this parameter (for example EPA method 310.2 Alkalinity Colorimetric, Automated, Methyl Orange, applicable to drinking, surface, and saline waters, domestic and industrial wastes).